Q. The Living is your third novel. Tell us more about the novel writing process. What was different this time round, if at all? The novel writing process is: you’re in the dark, excited to find out about all sorts of things, seeing links, having insights, running around, wondering if you’ve finally lost it (no, actually lost it this time), and then you start rooting around in an enormous pile of waste for things to use and re-purpose, and that goes on for another year or two, and then you spend another year or two polishing, refining, neatening, cutting, and then, a few years later, you open the book and look at it and you think, Oh, that’s what that book was about. So this was pretty much according to type. Q. I liked the simplicity, and implicit use of language, the rawness and honesty of your words. Did you start writing The Living like this from the get go, or did you strip away the padding and detail later during an editing stage? Thank you. I’m glad it worked for you. I started writing it exactly as it is now. What altered is the structure, especially in the case of Arun. It took me a while to figure out where his circular stories were not leading him (they keep not leading him in the same direction, I submit). Q. You’ve always been an observer of the everyday and the ordinary but here I think you’ve gone one step further and taken out the fluff that can somewhat cloud fiction. For example, there’s no attempt at showing off with your use of adjectives, clever metaphors and similes or fancy words. It works so well. Were you surprised by how successful this approach had been once you’d finished? I like this book, which feels rare, but I’m still a little close to it to know how successful anything has been. So I’m glad you think it worked. I wanted to do something that sounded completely contradictory and counter-intuitive – to write something that operated under the surface of language, in a way. How, when the medium of a book is language? But habit, thought, self-deception, repetition, sadness, illusion, disappointment, unexpected love, unexpected humour, unexpected beauty, those were some of the things I wanted to write about. And the working day, which is such a big part of all our lives and which somehow is well depicted in relatively few novels. Q. You moved back to India a while ago now, how has the move affected your creativity if at all? Has it been a hindrance or a help? I don’t think creativity is a separate aspect of a person. I’m very glad to be in India. Back? Can one ever go back, to anyone, anything? I don’t know. I know that I’m glad to be here. Q. Also, I’m interested to know whether you started writing The Living in the UK, and then finished it in India and that’s why we have this novel that embraces two main characters, and two countries. If not, what inspired that decision? The novel and its two characters were in existence before I thought of returning to India to live. In any case, when I did move, it wasn’t to Maharashtra, where the Indian part of the book is set, but to Assam, which is a very long way away and which was quite new territory to me. It was written partly in England and partly in India just because I happened to be in those two places. Q. What have you noticed about the emerging literary scene in India now that you’ve returned? I’m not totally sure what you mean. I think there’s been a strong literary scene, particularly in languages other than English, for a very long time in India. In the last year and a half, on and off, I’ve been taking Assamese lessons and have read some Assamese short stories with my teacher – stories that classic as well as experimental and innovative. And this is true in many other Indian languages, though other than a couple of forays reading my friend Ambika Sircar’s Marathi stories, I’m not equipped to read that work except in translation. Oh, I see – hence ‘scene’. I haven’t been to many festivals in India – one in Bombay a few years ago, and eighteen months ago one in Guwahati, one in Shillong, both in the northeast. I enjoyed them all – meeting other writers, meeting readers. There do seem to be a lot of new festivals, for sure… Sometimes I think people who still read and are excited about books are a vanishing tribe (though less so in Bengal or the northeast, from what I see) so it’s nice to remember that we still exist in numbers. And the large festivals have their own logic, their own motors. I just went to a film festival here in the northeast, in Itanagar, as a jury member and I really enjoyed spending time with the other jurors and talking about narrative and story with them. Maybe there should be more interdisciplinary festivals, with film makers, artists, writers, musicians? Though I may just be describing the kind of parties I’d like to go to. Q. 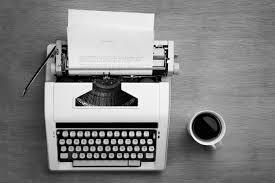 Tell us about how writing fits into your life and your writing ritual, if you employ one. A lot of it happens in pyjamas. There’s no ritual as such. I write at a laptop, on a notebook, in a bus, at a desk, wherever. Luckily my handwriting is relatively illegible, because I do notice people have a tendency to be a bit shameless about reading over my shoulder. Q. I think it was brave of you not to draw parallels between the two characters’ lives, and what you’ve done is just let their lives just play out on the page. Would you say you’re getting closer to writing the book you’ve always wanted to write, without worrying too much about what an editor/critic/reader might say or think? There’s no single platonic ideal of a book I’ve always wanted to write. The book I write at a given moment is aiming to be the authentic imprint of my thinking or more properly my being at a specific time. Given how long it takes to write a book, that involves some modifications en route, but those are part of the journey. I’ve been lucky, too, in never having an editor who imposed any rules. On the whole I prefer to hand a manuscript over at a later stage, because earlier drafts really don’t resemble later ones. I’m a stringent but slow editor of my own work. Sometimes people involved in the process have thought it’d be fun to see work in progress, and I’ve learned the hard way that it really isn’t fun. As for critics, readers… You know some people are going to hate some stuff, but what are you going to do about it? Eleven years of being a bookish Indian kid in an English state school gave me a grounding in not minding being the useless weirdo. And with readers, I find books have a long half-life. It’s not when they’re new that you get those really amazing emails or letters but after a few years when someone comes across the book somewhere, in a secondhand shop maybe, and it means something to him or her. Those moments of connection are really why I write – the miracle of the message arriving home. Q. Having said that, there are running themes of creeping loneliness, of parenting and desire that left me feeling wiser and will stay with me for years. What would you say you’ve learnt about yourself from writing this book? I may not know for a while. As far as I can tell now, among other things: some readiness to move away from a pointless, repetitive addiction to drama in the sphere of relationships (though I’m probably not totally done with that yet), a sense of gratitude for the kindness of old friends, and some understanding of how difficult it must be to be a parent or be married for a long time. Finally, and this is something I associate both with the poise of short novels and with growing older, I think I have more or less done away with the urge to waste time hanging on to a bad situation in case it suddenly transforms. Q. Are you working on anything else at the moment and what are you reading? I’m writing another novel, which I think is called Keeping in Touch. It might end up being a love story of sorts. I hope, too, that it’ll have funny moments. 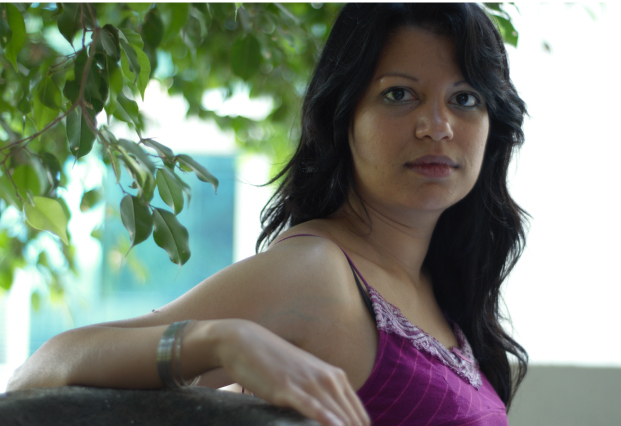 Anjali Joseph was born in Bombay in 1978. She read English at Trinity College, Cambridge, and has taught English at the Sorbonne, written for the Times of India in Bombay and been a Commissioning Editor for ELLE (India). Her first novel, Saraswati Park (2010), won the Desmond Elliott Prize, the Betty Trask Prize and India’s Vodafone Crossword Book Award for Fiction. The Living is her third novel.